Each year, the publication surveys hundreds of the nation’s top executives who rank all 50 U.S. states from best to worst based on a variety of factors including business climate, taxes and regulations, workforce quality, local attitudes towards business, and quality of life. “For the 13th straight year, Texas proudly assumes the mantle of being recognized as the best state for business by America’s CEOs,” said Texas Governor Greg Abbott in response to the recent accolade from the business publication. “Companies in Texas, around the country, and across the world are relocating and expanding in the Lone Star State at a rapid clip due to our business-friendly policies. Coupled with our high-quality workforce, I’m confident we will continue to lead the way in creating a welcoming home for businesses in Texas,” added Abbott. The business magazine showcases Texas as an exporting powerhouse, shipping over $232 billion in goods in 2016 to destinations worldwide, actually leading the nation for 15 years. They spotlight Texas as home to the second largest state airport system in the country as well as 11 deep-water ports and 10,425 miles of freight rail, more than in any other state. On a scale where 10 ranked best, Texas, a right to work state, received high marks for low business taxation and regulation (7.83), workforce quality (7.69), and quality of life (7.55). 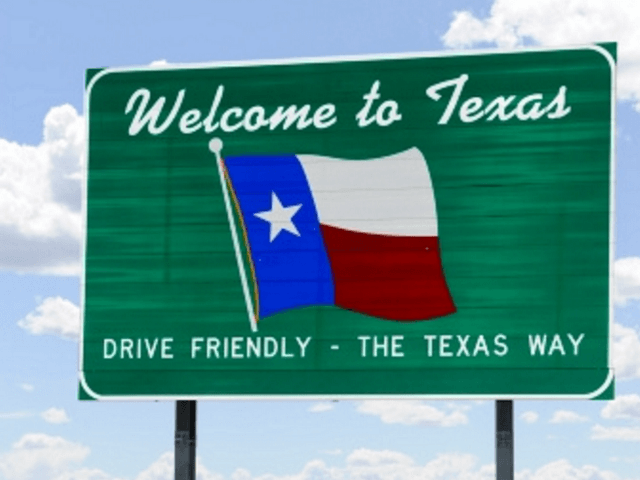 “Texas continues to offer the most conducive environment to business growth with moderate tax rates and an accommodating regulatory environment,” says the CEO publication. They list key Lone Star State industries as advanced manufacturing, aviation, biotech, chemicals products, and energy, although, over recent years, the Texas economy diversified so it no longer solely depends on oil and gas. Among the innumerable Fortune 500 companies headquartered in Texas are American Airlines, AT&T, ConocoPhillips, Dell, Energy Transfer Equity, Enterprise Products Partners, ExxonMobil, Fluor Corporation, Halliburton, Kimberly-Clark, Occidental Petroleum, Southwest Airlines, Sysco, Tenet Healthcare, Texas Instruments, United States Automobile Association, Valero Energy, Waste Management, and Whole Foods Market. Pro-business incentives like the Texas Enterprise Fund has helped in making the state attractive to companies whether they relocate their home bases or expand regional facilities with the goal of creating more jobs and economic growth within the state. “I like Texas’ small business startup incentives which have been significantly streamlined for people. I believe many businesses will find multiple opportunities for growth and stability in particular, as it concerns technological, aerospace, engineering, scientific, and military defense,” noted the CEO magazine. Earlier this year, the state topped the magazine’s southwest regional report, which projected the fastest-growing region in the country was between San Antonio and Austin. They predicted these two cities would merge into the nation’s next great metropolis. Florida ranked second to Texas, creating 60,600 private-sector jobs in the first quarter of 2017 and adding more than 1.3 million private-sector jobs since December 2010. For the fifth consecutive year, Florida’s annual job growth rate of 3.2 percent exceeded the nation’s 1.7 percent rate. Rounding out the remainder of the top 10 are North Carolina, South Carolina, Indiana, Nevada, Tennessee, Georgia, Arizona, and Wisconsin. Two of last year’s bottom 10 states, considered the worst for doing business, moved up on this year’s list. Michigan and Mississippi went from 40th and 42nd places to 36th and 32nd, respectively, in 2017. However, the most business unfriendly states included Vermont, Maryland, Rhode Island, Hawaii, Oregon, Massachusetts, Connecticut, and New Jersey. Illinois and New York maintained at 48th and 49th with California reprising its role in last place mainly for its hostile business environment, heavy regulations and burdensome taxation.